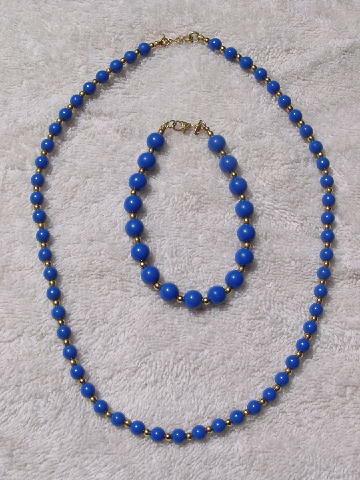 This vintage blue necklace and matching bracelet are by Monet. 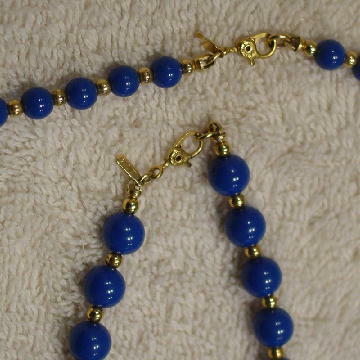 There are round blue beads which are separated by tiny gold-tone beads. The blue necklace beads are smaller than those on the bracelet. They each have a gold-tone safety clasp with a tiny tag that has Monet etched on it. They were worn in a movie and two photo shoots.